Older Adults and Diabetes – 2016 ADA Standards of Care, Section 10 – The table below is excerpted from this section. Less in More | Appropriate Prescribing for Patients With Diabetes at High Risk for Hypoglycemia – National Survey of Veterans Affairs Health Care Professionals published in JAMA, 2015. In older people with diabetes, for instance, maintaining very low blood sugar — often called “tight control” — can do more harm than good. “People can feel fatigued and weak, get cold sweats, feel like they’re going to pass out,” said Dr. Tanner Caverly, lead author of the Michigan survey. 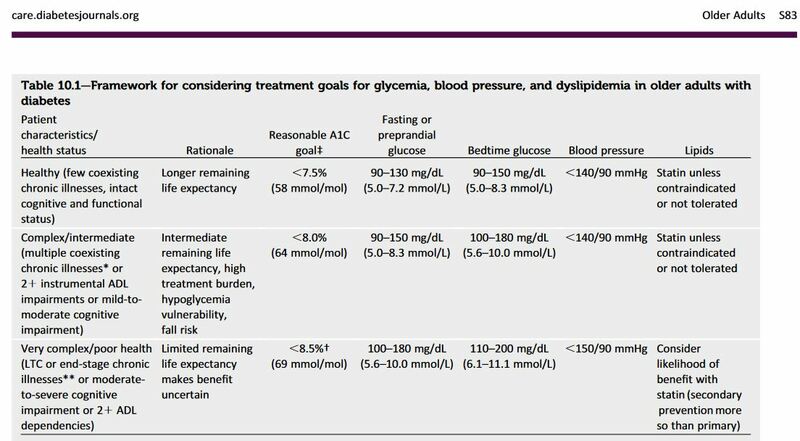 Rates of Deintensification of Blood Pressure and Glycemic Medication Treatment Based on Levels of Control and Life Expectancy in Older Patients With Diabetes Mellitus – JAMA, December 2015. Conclusions and Relevance Among older patients whose treatment resulted in very low levels of HbA1c or BP, 27% or fewer underwent deintensification, representing a lost opportunity to reduce overtreatment. Low HbA1c or BP values or low life expectancy had little association with deintensification events. Practice guidelines and performance measures should place more focus on reducing overtreatment through deintensification. Do I need a flu vaccination – Great infogram to get people motivated to get their flu shot. 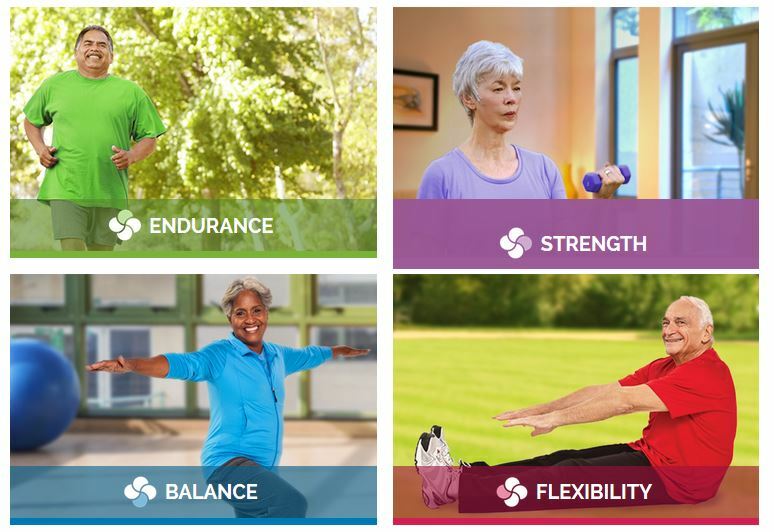 Go4 Life – Go4Life, an exercise and physical activity campaign from the National Institute on Aging at NIH, is designed to help you fit exercise and physical activity into your daily life. American Geriatrics Society’s Choosing Wisely panel, Recommends that a 7 to 7.5 percent A1c target is a reasonable goal for healthy seniors. For those with additional health problems and life expectancies of less than 10 years, the panel suggested a 7.5 to 8 percent goal, rising to 8 to 9 percent for those with many medical conditions and few years ahead. This page has a lot of sound advice for serving our seasoned citizens. Hypoglycemia and Hyperglycemia Patient Education Teaching Sheet – This handout is one of my favorites. Cartoon characters depict the signs and symptoms of low and high blood sugars and then detail steps to take. Medication Wallet Card in WORD – Add your program’s logo and provide your clients with a useful, customized document that includes contact info, list of medications and critical health data.